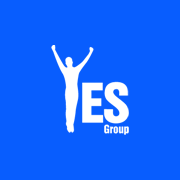 Our last Yes Group event of this year will consist of 2 parts: Completion and Laughter Yoga. Completion is a critical phase of every creation. It frees you of what is true to let go of, so that you can assign your focus and energy creating the new. I will lead you through a completion exercise so that you can get clearer on what you would love to create in 2016 and reassign your energy to the new year. Laughter Yoga is both simple and profound. Don’t worry, you don’t need to get into complicated poses, though casual clothing may make laughing easier 😉 It is a combination of deep breathing exercises from yoga and laughter exercises, which oxyginate our body and brain, making us feel more healthy and energetic. The body cannot differentiate between fake and real laughter, and research has shown that laughter releases endorphins and lowers the level of stress hormones in the blood. The session will be lead by Christiane Moeschler, who is a certified Laughter Yoga facilitator. Metro: ​​Stokkel, from there you can walk or take tram 39. Bus 36 stops close as well. Car: The building has its own free parking. I hope to see you there to celebrate 2015! With the kids going back to school, Yes Group is back as well after a short Summer break! As always we are here to inspire you with personal development workshops and – more importantly – to support each other to apply what we learn. The pace and format of our events might change slightly moving forward, more on that later. One thing is for sure, after last year’s success, several new mastermind groups are in preparation. As you might know, we have the tradition of a “birthday edition” workshop in September (i.e. the 10th is my birthday and I celebrate by being the speaker myself). This year I decided to mix it up a bit, as we had the rare opportunity to have Roseline Deleu as a speaker – she lives at the other side of the world… It will still be a special one as the subject matter is uncommon and the location is an art gallery! And this means a more relaxing birthday for me 🙂 but don’t worry, I will take my turn one of the coming months. In fact, in the last half year I have been studying ancient philosophies, and their application blew my mind, frankly they are the most powerful wisdom I have seen sofar, they feel like the missing pieces of the personal development puzzle to me. Interestingly, through her experience with the Aboriginals, Roseline is familiar with some of these (e.g. intuition and shamanism) as well. Born in Belgium, Roseline Deleu moved Down Under 18 years ago, and life has never been the same again! From the corporate world in Europe, she now resides in the Red Centre of Australia with Aboriginal Australians. With her stories Roseline brings suggestions for another outlook on your life today, in the modern world. Yes, it is possible to live here with less stress, combining family, work, and leisure, and aligning yourself with a higher purpose. We are like diamonds, we have many facets – they make us shine. Let’s unravel your hidden facets, allow the sun to shine through and bring a rainbow in your life. 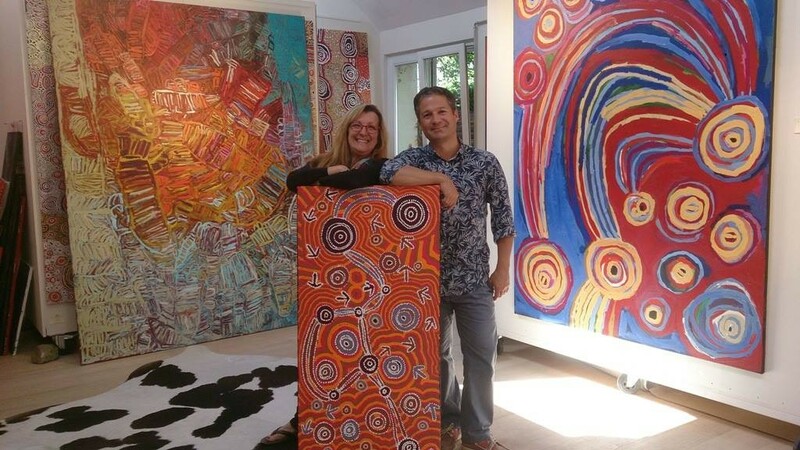 We are happy to be able to host this event among wonderful Aboriginal paintings of the Aboriginal Signature Gallery in Koekelberg. You will be able to admire artwork of the First Australians, feel the vibrations of the Aboriginal wisdom and this most ancient culture of the world. So join us for this year’s special “birthday edition” that will stimulate all your senses! Reserve your seat straightaway via our Fikket page, €15 if booked *and paid* in advance. CU Thursday, September 10, 2015 19h00 at Aboriginal Signature, Jules Besmestraat 101, 1081 Koekelberg. Our performance is state dependent. Our actions are guided by our intentions. And our behavior is generated to a large extent by the unconscious. If you are in a lousy state you will not perform well, but if you are in a good state you will act exquisitely. If you set your intentions wisely, your actions will be more beneficial. And if your conscious mind interacts well with your unconscious mind – you will have the most powerful ally imaginable: YOURSELF. For 25 years state, intention and the unconscious have been central to New Code NLP. After attending this workshop you will be able to use these three variables as fulcrums of change. Lidija Markovic Rosati is a former banker turned international NLP trainer, Psychological Counsellor and entrepreneur. Lover of life and people. Curious nomad – born in Eastern Europe (Serbia), lives in Western Europe (London) and works across Europe. Writes Haiku poetry, explores the power of Unconscious and its relationship with language. 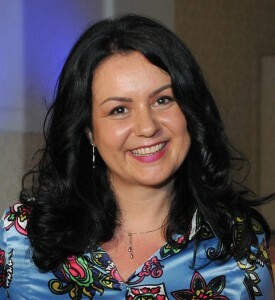 She started Yes Group Serbia and co-founded Momentum NLP Serbia. Biggest breakthrough: leaving behind the safe corporate world and finding the courage to embark on the most beautiful adventure called: LIFE. 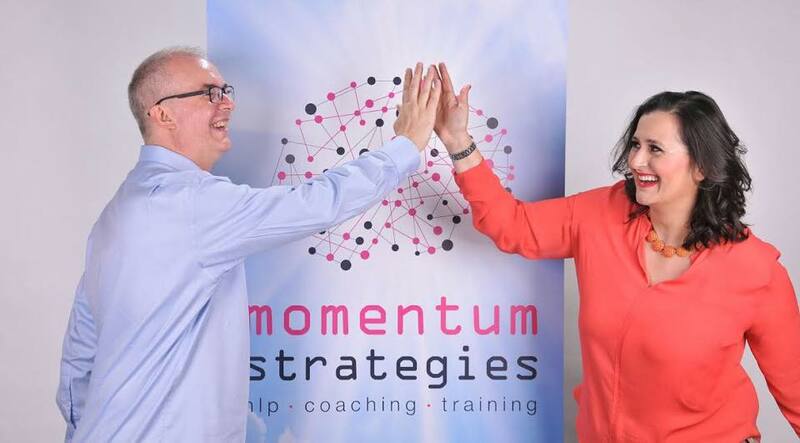 Thomas Björge is a Senior Partner and an international NLP trainer at Momentum Strategies Coaching, delivering trainings in Serbia, Macedonia, UK, Belgium and Sweden. He started studying NLP in California with its co-founder John Grinder and later with the other co-founder Richard Bandler in the late eighties. He has continued his study and exploration of the field ever since. Thomas is also the originator of the New Code NLP Game known as The Arrows Game. An avid practitioner of Tai Chi Chuan and Feldenkrais, he brings the two disciplines to his teachings and creates trainings that are unique in their delivery, content and applicability. Thomas enjoys exploring the realms of experience and possibility that exist outside of ordinary awareness and everyday realities. Biggest breakthrough: leaving Sweden at the age of 22 and travelling to California to learn NLP from dr. John Grinder. Just as the economy is rapidly changing, so are your clients’ purchasing habits. What worked before to attract clients & generate business doesn’t work anymore. Join this talk, packed with strategies to enable you to be visible to your right audience and attract your best clients like bees to the honey pot… so you can stop chasing new clients & enjoy your business! This workshop is for you if you have a small business, or you’re in the process of establishing your business, or you’re a freelancer / solo-entrepreneur who simply wants to earn more. Ozana Giusca is a world-class expert on business growth, an international speaker, bestseller author, and successful entrepreneur with businesses in the US, UK and Romania, and clients on all continents. Ozana is passionate about businesses and always finds ways of growing them, regardless of industry, size or location. Your work / career / mission is one of the most important aspects of your life. If you don’t agree then why are you spending so much time in your job and why are you seeking to improve your conditions all the time? Your mission is what makes you want to jump out of bed – or stay in bed – every weekday and sometimes even in the weekend for the overachievers amongst us. In this session we will go over the 6 big mistakes and how you can avoid them. Walter will give you some key principles for creating an extraordinary work / career / mission. Walter Van Hecke is a driven serial entrepreneur. He runs two companies in IT services and consultancy. Walter works with small & medium-sized businesses, government organisations and multinationals, helping them with their technology strategy and internal efficiency. He’s also a professional Business Coach and certified by the Flemish government to provide strategic advice. 3 weeks after this year’s Unleash the Power Within, it’s a good moment to reflect and share. UPW is always a great experience where we learn a lot, but the challenge is what happens when we return to reality… How do we apply what we learn in our daily life? From past experience we know that this is the most difficult part, and this is exactly why we started Yes Group, to have a peer group where we support each other in our journey to the next level. So during this month’s meeting, participants will share some of the highlights that stood out, some lessons, strategies, aha moments,… that make a difference for us. This way we will both reinforce the seminar for those who participated (this year or before) and share some content with those who have not been there yet. What’s the firewalk in your life? What’s holding you back? How can you breakthrough fear? What is state? What is peak state? How do you get there and use it outside of a seminar? Priming – I loved this new technique that Tony teaches, great to start your day with! Vitality – principles of a healthy lifestyle that dramatically increase your energy. See you at Gemeenschapscentrum Kontakt, 21 April 19h00! Ah, relationships. Area number three in the pyramid of mastery, and as Tony puts it, the ultimate magnifier of human experience. There is perhaps no greater source of joy, happiness, and fulfillment, or sorrow, heartbreak, and pain, than the area of human relationships. After all, relationships are the area of life that brings up the most fear: fear that we aren’t good enough or that we won’t be loved. 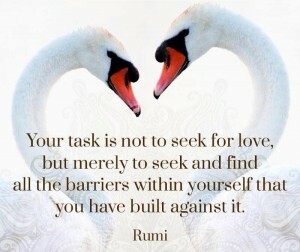 All of our emotions – love, passion, ecstasy, joy, frustration, and fear – are intensified in an intimate relationship. This is, in fact, the purpose of relationships: to magnify human emotion. Have you resigned to being single? Do you keep picking someone who’s not the best match for you? Are you afraid to step out of your comfort zone and meet new people? Do you end up in the friend zone? Would you like more passion and excitement in your relationship? Then this fun and interactive workshop with Byron Soulopoulos is for you! start and keep the best relationship ever. 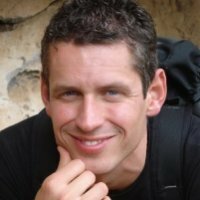 Byron Soulopoulos is an experienced Relationship Styles (Insights Discovery) trainer and coach. Recently he attended the Inter-Personal Dynamics course at Stanford University. Byron is a guest lecturer in personal effectiveness at UC Leuven-Limburg, HUB and the Marie Curie International PhD Programme.